If it’s been a long time that you pursued a job opportunity chances are high that your resume is obsolete by the current standards. Besides, when you are out of touch of something, getting back to it does take some time and efforts. Nothing is truer when it comes to job hunting and resume is still the currency on which jobs are given to candidates. Therefore, if you want to land that dream job opportunity, read on this article to know how resume has changed over the past one decade. Those who think resume writing is a recent phenomenon are living on a different planet altogether. The first record of a resume dates back to 1482, and the maverick inventor, scientist, painter and genius Leonardo da Vinci is credited for writing the first professional resume. Starting from 1930s and travelling towards the end of the 20th century, resume became an institution. From a mere formality to a compulsion, resume’s journey has been nothing if not exciting. From being a hand-written document to transforming to a nicely drafted Microsoft Word document, and now appearing in the forms of well designed info-graphics, resumes have changed beyond recognition over its entire course of history. Changing ways of job hunting, technology intrusion and improving standards have been the major driving factors behind the transformation of resume. Past one decade has been particularly eventful with Internet emerging as a major factor in finding a new job. Earlier resumes served only an informative purpose, offering the recruiter an overview of the professional and academic accomplishments of the candidate. 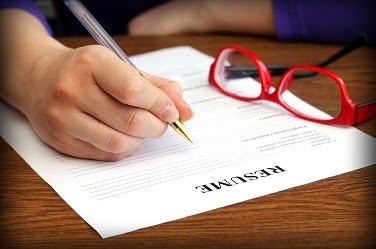 However, over the time there have been changes in how resumes are perceived. In the current age, resumes are considered as personalized marketing document, selling you as a product. You are marketing yourself to the employer. Just like two brands of cola market themselves in spite having the same product inside, you will also have to sell yourself in the crowded job market using various tactics. Highlight your achievements, traits and characteristics that are your USP. What distinguishes you from the rest? What makes you better than the other guy? All these points should be communicated through your resume. In the modern scenario, keywords in a resume make the whole difference. Most companies today use applicant tracking system software which has pre-fed keywords to filter resumes before sending them at the human resource desk. These ATS were not available 10 years back and hence keywords were not that important a decade back. But today, the importance of keywords in a resume can’t be overstated. They help connect resumes with current openings, ensuring future searches results in appropriate resumes matching to the hiring professional’s requirements. Who could have thought that a video can serve the purpose of a resume? Or that a CV could look like this? But this is only the start. There is a revolution of sorts happening in the resume writing industry, with previously unheard and unimagined visual elements being part of the CV. Infographic resume is the hot trend right now. In this format you can chart your career as a timeline, plot your strengths on a skill map, use charts and graphs to break down the types of industries you’ve worked for. If you have the ability to distill your job experience in 140 characters or less, then a ‘tewsume’ or a Twitter resume is the right option for you. 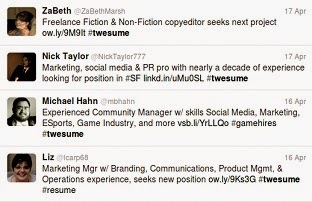 A twesume is a short bio or resume that one can tweet, message or email to potential employers. You can try including one or two hashtags relevant to your industry to catch the hiring manager’s attention. Another fast rising industry trend is visual resume on the presentation-sharing site, SlideShare. You can find a range of existing presentation resumes as a reference to start building your own. The latest fad is video resume, creating which is as risky as it innovative it is. A one to three-minute video should be more than enough to explain in clear and compelling way why you’d be a good fit for the job. The video can vary with the type of the job which you are applying to. For instance, a job as finance manager could have a video resume with you sitting in finance office like sitting, dressed in a manager’s suite. Similarly, those applying to a position like teacher can create a video resume with classroom like setting.